Just south of the sprawling Dallas community, the comfortable city of Rockwall exists. This area is nestled near Lake Ray Hubbard and welcomes visitors coming in from Interstate 30. This is a nice community close enough to Dallas to enjoy the activity, but far enough away to feel like a small town. As this is the case, the community is growing bigger. Growth means more kids, and more kids mean the likelihood of lice and nits. For Rockwall lice treatment, contact the team that understands the area: Lice Lifters DFW. Visit our treatment centers in Frisco for effective lice solutions. In Rockwall, the Lice Lifters DFW team offers solutions. From the treatment, all the way to follow-up care, our team ensures your Rockwall lice treatment is no less than successful. As long as all family members follow the regimen and treatment, the solution will leave your family lice-free. Children tend to be more susceptible to pesticides, though they’re not good for anyone. That is why, at Lice Lifters, we have eliminated pesticides from the equation. Not a single product we offer in-office includes harmful chemicals or pesticides. Those compounds tend not to work against head lice in any case, because pests have evolved to combat them. At Lice Lifters, children tend to be our number one concern. You see, head lice gravitate towards children because they easily spread an infestation amongst classmates and friends. Children do not have the same reservations as adults. In our office, children will find a welcoming environment. Most of our specialists are parents too, so we know a thing or two about handling children, and making them feel comfortable during treatment. Speaking of treatment, our process is quick and painless. Our combination of medication and the use of our micro-grooved comb is sure to stop lice in their tracks! If you have ever dealt with head lice before, then you know they are small, wingless creatures that live in the hair on your head. Head lice feed off the blood from your scalp, and a single one is about the size of a sesame seed. Most children have never had the displeasure of handling head lice, and the itch is likely new to them. These lice are transferred by brushes, combs, headbands, headphones, and hats. They may also survive for a short period of time in bedding or towels. Children often spread head lice infestations amongst their classmates due to proximity. Whether in class together or on the playground, kids are packed tightly into spaces. Adults are less likely to spread lice, though it does happen often enough to warrant investigation and research by the Centers for Disease Control. The only surefire head lice treatment option is the professional route. Over-the-counter medications do not satisfy the itch, and cause more problems than they’re worth. When the itch becomes unbearable, we often turn to the closest treatment source possible. For many of us, that means the local drugstore or supermarket. Many stores across the country have medications available for purchase that promise fast relief from head lice and the itch. They fail to satisfy the problem, though. Not to mention the chemicals and pesticides included in many of these products – they are harmful, especially to children. Instead of running to the drugstore and wasting money, call Lice Lifters. 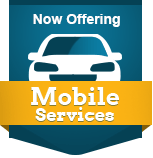 We’ll schedule an appointment for you, right here at our office, to provide expert lice treatment in Rockwall. You do not deserve to have your time wasted, and we never will. Of course, everyone in your home must be treated. If one person has head lice, chances are the critters have spread to someone else. 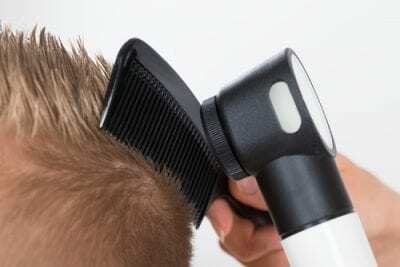 If you were to simply treat one scalp, head lice could easily return later in the week on the same individual. It’s truly a team effort! Head lice are typically a temporary problem. Still, we all want a permanent solution to calm the itch. It makes sense, after all. No one likes to be uncomfortable. So, when you’re searching for a permanent solution, a little research can go a long way. You want to understand your enemy. These blood-sucking insects have no home on your scalp. Do not run to the grocery store, though. Their over-the-counter options fail to work permanently. You need professional assistance – something with a little more drive and gusto. At Lice Lifters, we have built our head lice treatment from the ground up. We begin with a thorough head check to help us determine the severity of your head lice problem. Once we’ve discovered nits or adult lice in your hair, we pull out the micro-grooved comb to remove as many as possible. Finally, we’ll apply our all-natural killing agent, free of all pesticides, to kill any remaining head lice. Your family can stay happy and healthy with the right Rockwall lice treatment from Lice Lifters DFW. Our team is your go-to for eradication of lice and nits in your children’s hair and in your home.